Like you see, Pokemon Zombieland post includes parts: Description (Story/Plot included in this part), Screenshots, Images, How to download. If some trailers are not available, we will add later. 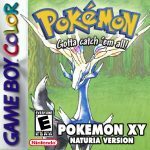 A Pokemon ROM/Game hack by miksy91 using Pokemon Gold Codebase/Engine in English. It is available to download now. The last update happened on April 13, 2018. Pokemon Zombieland with special things for you to explore yourself. Many features has been added and intergrated. Although it mainly is created from Pokemon Gold, it still owns featured points make you surprised. What this hack basically offers is the ending of a fictional Pokemon game involving zombies, so that the player should still be able to follow what may have happened before. miksy91 spent many times to create this game in English language. Although it is still in the hacking process, this game is still worth-playing. Just take a few minutes to follow all the content of this website, click Ctrl + D for bookmarking. Your benefit is receiving all our latest news about Pokemon Hacking (ROMs/Games/Tools/Emulators).